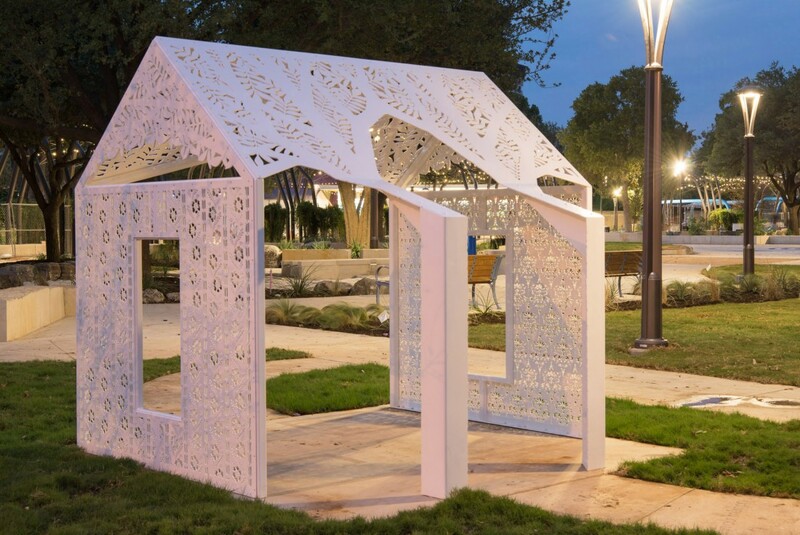 PLAYhouse is a shade structure inspired by the neighborhood that existed before Hemisfair, where “saltbox style” houses once stood on the project site. This playfully scaled down structure honors the overall proportions and style of the original houses and creates a space of pretend. 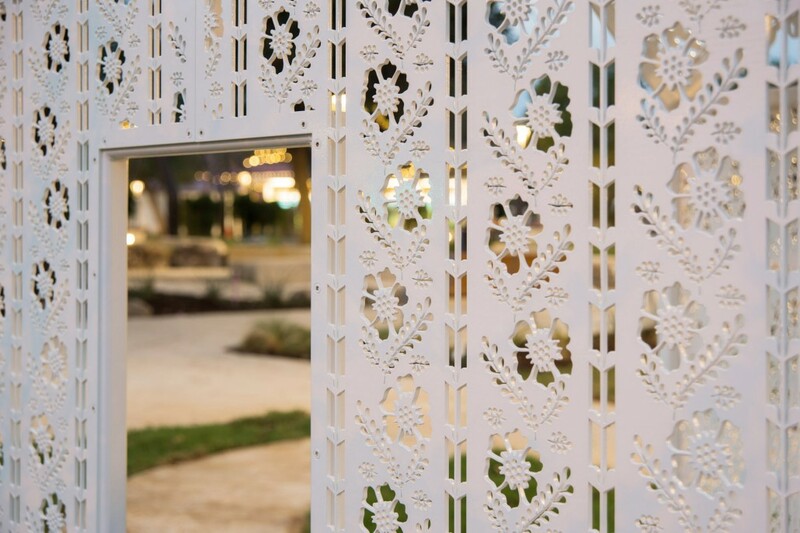 Steel wall panels are perforated with laser cut period wallpaper patterns while roof panels mimic large shady pecan trees. A scaled floor plan is etched into the concrete slab. A poem, etched onto the concrete walkway, speaks to how a house can reside in our memories. The poem is organized so it can be read backwards (starting with a question “who lived there”) as one approaches the house, or forwards (with the statement “a house remains”). 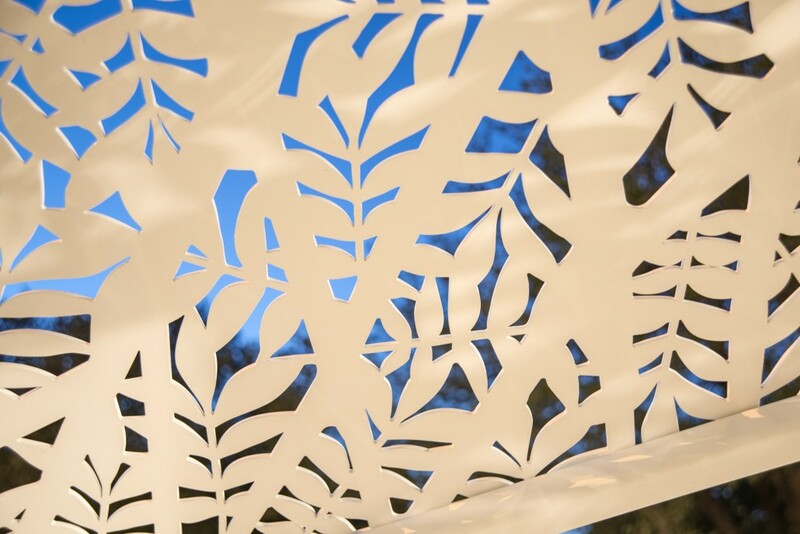 The overall effect of these combined elements creates playful and delicate shadows. It is a space of pretend and wonderment which addresses a period in the history of the site and surrounding neighborhood.